No need of Priming system, It's a Self Priming Pump, It have excellent suction capabilities on all type of flows. Less power required to save running cost. It can also run dry. Easy to replace wear parts in minimum cost, It have long life durability. Additional window is provided which allows easy cleaning & maintenance for valves, cylinder and stuffing boxes. The fully machined stainless steel cylinder liners can be rotated for extended service life. Rotating and exchanging the cylinders is simple easy when servicing the pump. 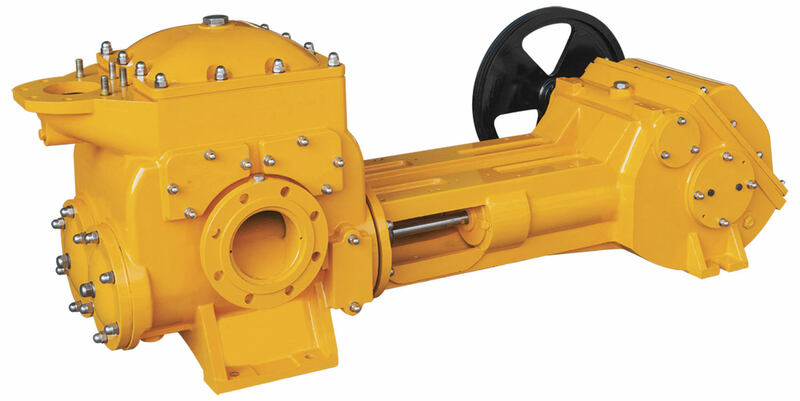 The Gear Drive is design for less noise and automatically, lubricate in bearings, connecting Pins, Pistons and Gears. The valve system is provided which allows quick and easy dismental Piston rods Fully machined stainless steel Piston Rod. Stone catcher protect pump internals from any suspended solids. The stone catcher has easy access cleaningcovers and it is hot dip galvanised. Desiel Engine: HATZ 1D81Z, Air cool, singe! cylinder, Electric Start, Fuel consumption: 1.5 Itrihr. Less then 75 dBa (1 mtr.) with Canopy, Power- 7.2 Kw @ 1700 rpm * Without Fuel. Base Hot Dip Galvanised Fuel Tank Capacity 150 Ltr.